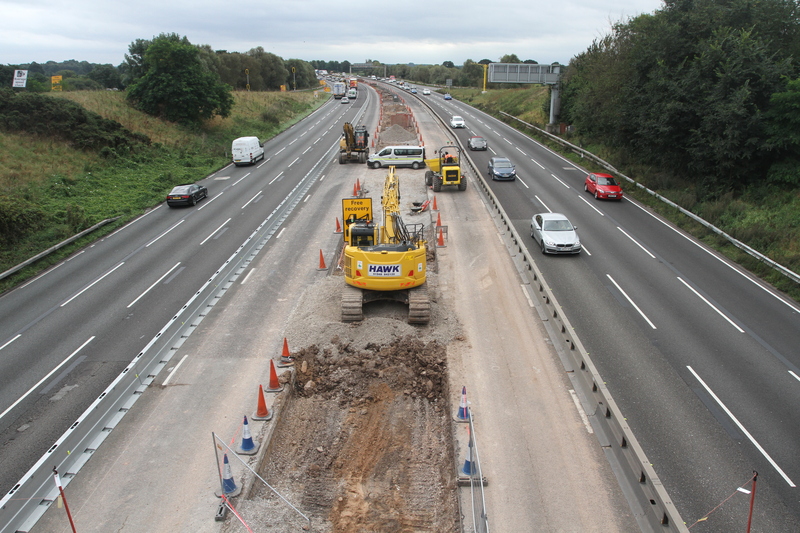 Improving the M6 motorway between junction 16 (Crewe) and junction 19 (Knutsford) by making it a smart motorway. We’re delighted to say the full smart motorway between junctions 16 (Crewe) and 19 (Knutsford) is now open. Motorists are now able to use all 4 new lanes throughout the 19-mile stretch and new overhead electronic signs have been switched on to provide drivers with live information about their journeys, including changes in the speed limit, lane closures and incidents ahead. We have added much-needed capacity to this crucial stretch of motorway and have introduced new technology to help reduce congestion and give road users greater confidence in getting to their destinations on time. Our site office near Brereton will stay open until June so people may still see some of our vehicles on the road while we add the finishing touches. 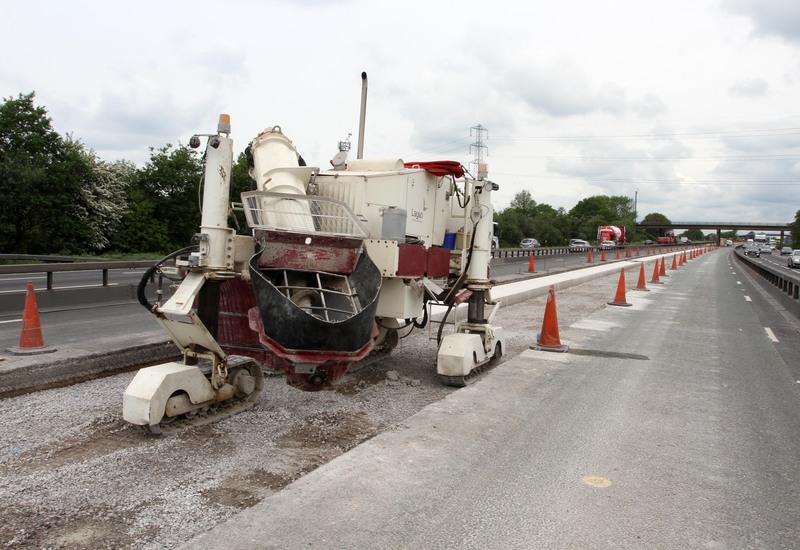 Resurfacing work, which could not take place during the smart motorway construction, will soon be taking place meaning full closures to the carriageway. Closures will take place over three nights during April 2019. Please visit the Roadworks Finder for more information on dates. Diversions will be in place and you can view this document to view the diversions. 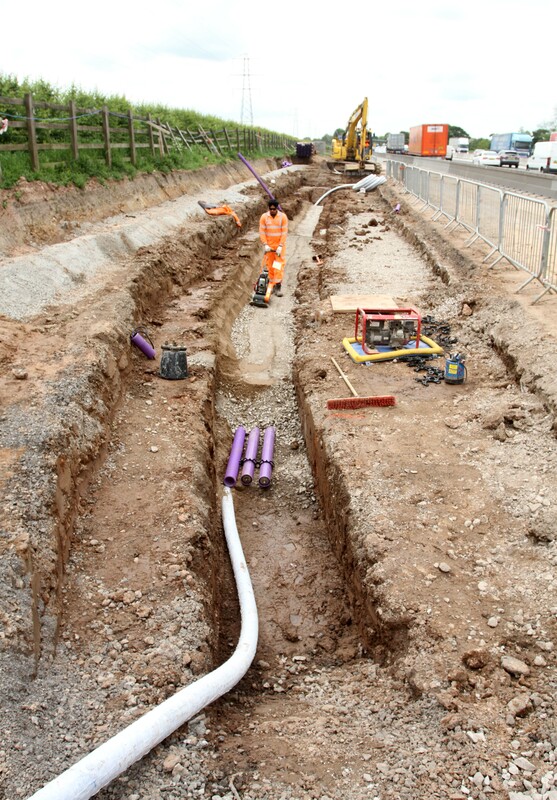 Find out more information on current and upcoming smart motorway projects in the North West. Holmes Chapel library is located at 29 London Rd, Holmes Chapel, Crewe CW4 7AP. Sandbach library is at The Commons, Sandbach CW11 1FJ. The information stand is marked by a pop up Highways England banner and is located just inside the main library area. The digital version of the December newsletter is now available. This section of the M6 currently suffers from excessive congestion and unreliable journey times. 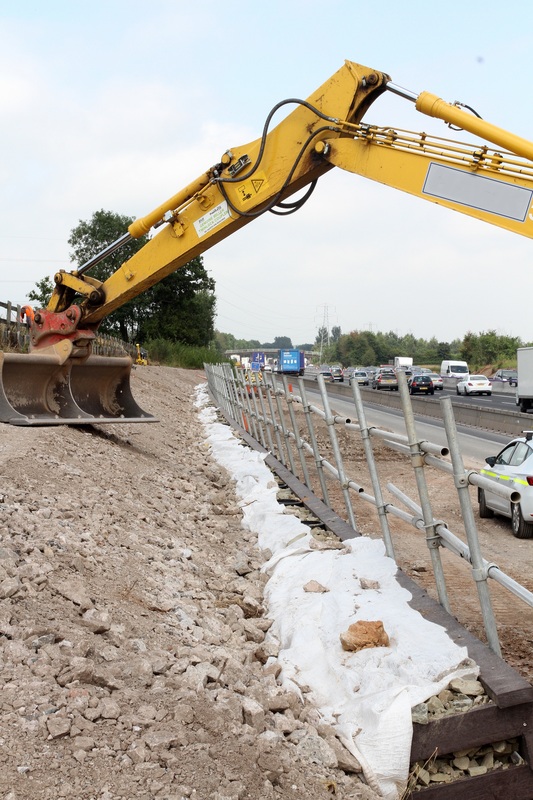 While we're building the new smart motorway our priority is the safety of the travelling public and our workforce, so we've installed narrow lanes, a 50mph speed restriction, CCTV coverage and average speed cameras. As there is no hard shoulder we operate a ‘free vehicle recovery service’ between junction 16 Crewe and junction 19 Knutsford. If your vehicle stops in the narrow lanes, our CCTV control room will identify you and send out the recovery team, so please await rescue. The recovery team will take you and your vehicle to the nearest service area where you will then need to organise how to continue your onward journey. 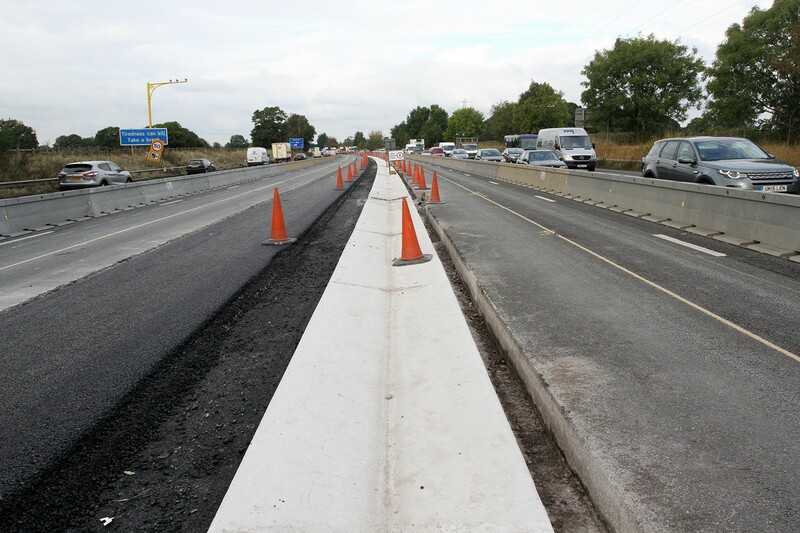 We're improving a 19 miles (32km) stretch of the M6 motorway between Junction 16 (Crewe) and Junction 19 (Knutsford) by converting the existing motorway into an “All Lane Running” Smart Motorway. This is a motorway where all 4 lanes are open to traffic, with regular refuge areas available for emergency use in place of a hard shoulder. The latest technology is used to monitor the traffic flow and set speed limits to maintain a constant traffic flow. During these works we will convert the hard shoulder permanently in to a traffic lane. Our environmental team has been working hard to minimise any disturbance to badgers, including providing an artificial sett. As badgers are a protected species any monitoring has to be carried out under a licence issued by Natural England. Great crested newts are also a protected species and our ecologists have carried out surveys of potential habitats. We have installed newt fencing in areas where we found evidence of great crested newts. The fencing allows us to safely trap and relocate the great crested newts under licence from Natural England. This scheme is wholly located within an existing motorway and our research has indicated that no significant environmental effects are predicted. This means we are not required to produce an Environmental Impact Assessment. However, we feel we have a duty of care and want to protect the environment and local communities. So we have produced an Environmental Assessment Report to identify, manage and monitor the effects of all our major developments. Location : The M6 northbound exit slip at junction J16 . Lane Closures : Lanes 1 and 2 will be closed. Reason : Roadworks are planned. Status : Pending. Schedule : From 22:00 on 30 April 2019 to 06:00 on 1 May 2019. Lanes Closed : All lanes will be closed. Location : The M6 southbound exit slip at junction J17 . Lane Closures : Lanes 1 and 2 will be closed. Reason : Roadworks are planned. Status : Pending. Schedule : From 22:00 on 29 April 2019 to 06:00 on 30 April 2019. Lanes Closed : All lanes will be closed. Location : The M6 southbound between junctions J17 and J16 . Lane Closures : Lanes 2 and 3 will be closed. Reason : Roadworks are planned. Status : Pending. Schedule : From 22:00 on 2 May 2019 to 06:00 on 3 May 2019. Lanes Closed : There will be two of three lanes closed.